Search Engine Optimization is arguably the most important aspect of your website. SEO refers to how equipped your website is to rank highlyย in search results and is arguably the most important aspect to consider when building a website. Choosing a theme that is SEO ready/optimized gives you a foundation for ranking highly in search engine results and begin to start growing your websites popularity. 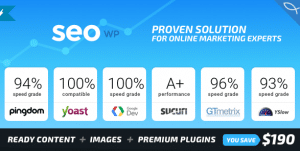 We here at WP Carers put together this list ofย 7 SEO Optimized WordPress Themes to help you find a theme that will make your Search Engine Optimization as easy as possible. Flexible WordPress theme specially designed for Digital Marketing Agencies, SEO companies, Social Media specialists and their clients. It uses a Drag and Drop page builder that makes it easy to build and modify your webpages with its user friendly interface. It also uses Drag and drop interfaces for their forms and footers. 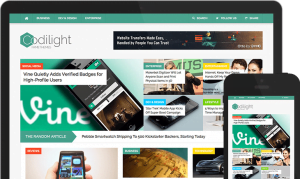 It also has an advanced Social Sharing that allows you to share your content, monitor and increase your social traffic and also helps your SEO. 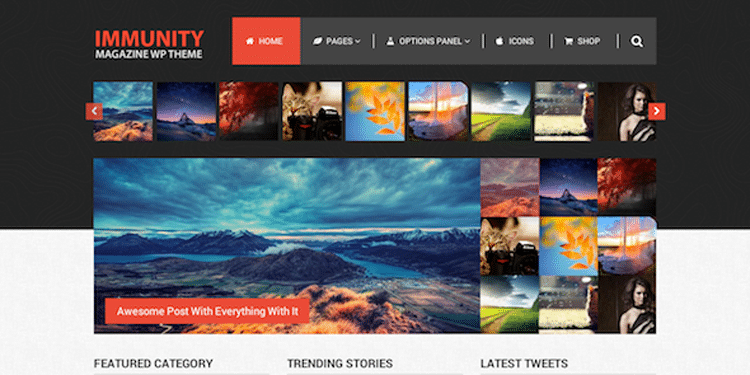 Immunity looks amazing on any device,ย since itโ€s 100% responsive. 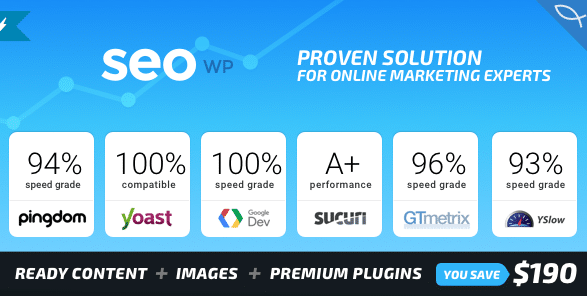 It is optimized for SEO,ย speed, and Adsense.ย It also includes tons of great features like different post formats, WooCommerce integration and custom widgets to give your website extra functionality. It is very simple to use and comes with a range of different shortcodes and also the Visual composer plugin so you can build your website any way you like. Codeus is a very theme that hasย flexible impressive slideshows & galleries.ย It isย fully responsive and has great news timelinesย andย testimonials sections.ย Codeus is fully customizable, but also ready-to-use so you can get your website up and running quickly. It has a really powerful and easy to use Admin Panel which allows you to customize your website with great easy using only a few clicks. 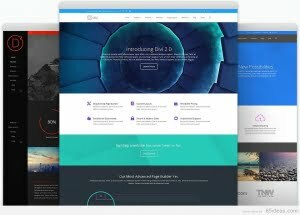 The Divi Builder allows you to create beautiful and unique layouts visually, without touching a single line of code. Its page builder makes it really easy to create a really dynamic website. 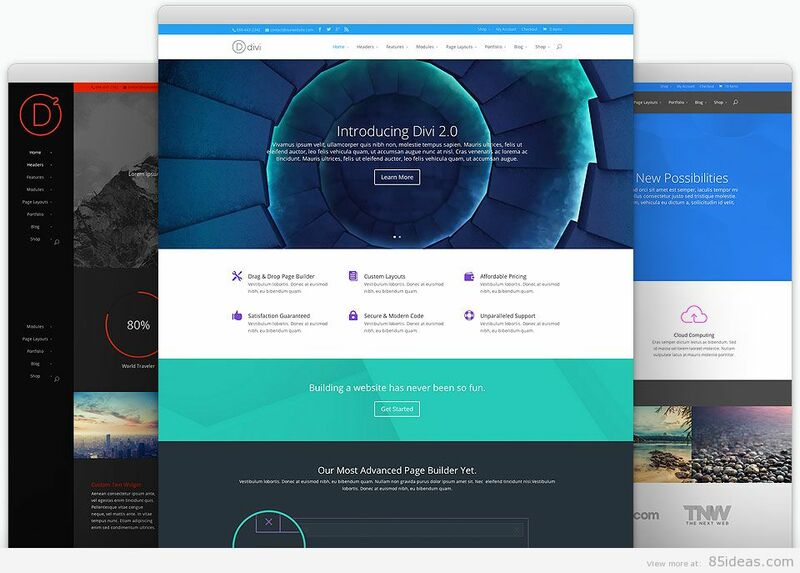 It comes with 18 pre-made layouts so you can get your website started quickly, however these pre-made designs can be edited fully so you can still make the website look exactly how you like it.ย Each Divi Builder item also has a Custom CSS tab where you can apply your own CSS to different elements. Fondly is an SEO Optimizedย WordPress theme that will help give your blog the best possible start.ย With Foundly, you can customize all parts of your page.ย Foundly has been audited by leading SEO experts in the industry so you can be sure that your website will be easily found through the search engines. 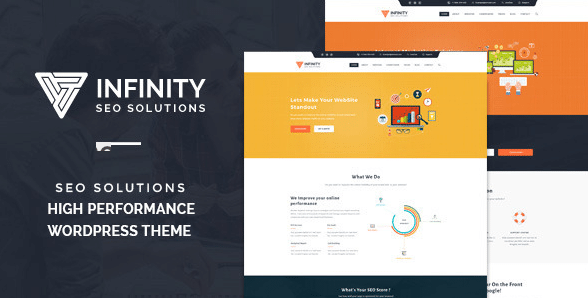 Immunity is a multipurpose Responsive WordPress theme that includes Magazine & Blog layouts, Post formats, Woocommerce integration, Custom Widgets, ShortCodes and tons of features.ย Immunity has the latest best practices in SEO implemented in it so your content will rank naturally. It was coded usingย with HTML5 and CSS3 markup that allows you to be ahead of the curve and access new functionality. 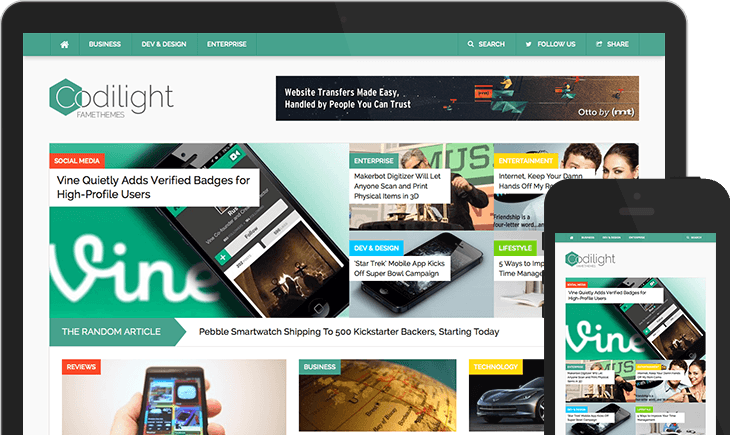 Codilight is an SEOย Friendly WordPress theme that was coded using HTML5 and CSS3 giving your website advanced functionality. It has a fully responsive design and willย automatically adapt to fit on any screen resolution on desktop and mobile devices including all iOs devices. It is cross browser compatible so you can be sure that your website will work on all the top internet browsers such as Chrome, Firefox, Safari, Opera and Internet explorer.